UP is Caden’s favorite (this week, ha!) Pixar/Disney movie. 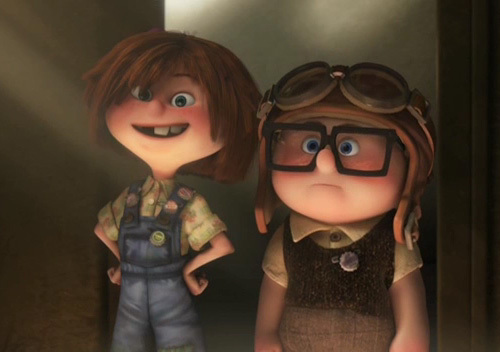 Here is photo from the movie when Carl, the main character, was a boy. Carl is on the right; notice the hat. 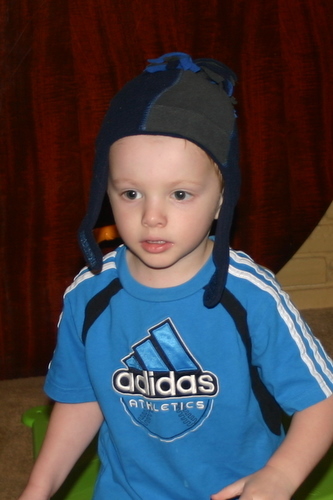 Last night, Caden while we were cooking supper, Caden appeared from his room with the following hat on! Jennifer said she has NO idea where he got the hat from! It is his hat,but she didn’t know where he had found it. Earlier in the day, when I got back from working at our church’s soup kitchen he was watching UP (before his nap–he finished it after his nap). 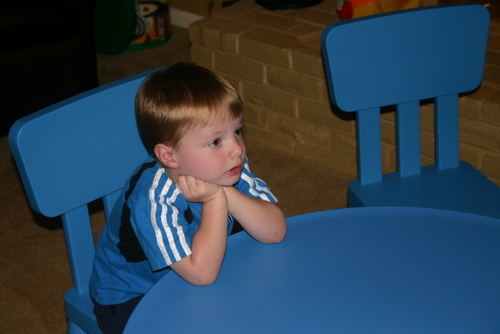 Here was the picture of him watching the movie before the nap.